Help provide clean indoor air for patient waiting room, showroom, smoking room, clinic reception room, examination room, cafeteria, office spaces, break room, office kitchen, meeting room, board room, mail room, photocopying room, multimedia room, etc. 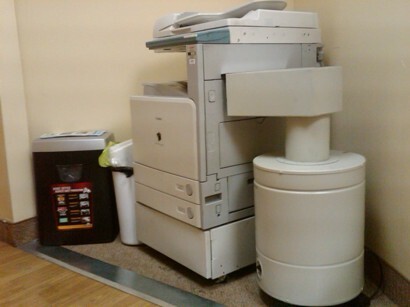 Help protect your staff and patients from harmful airborne pathogens, contaminants, pollutants- reduce the risk of exposure to harmful airborne pathogens, contaminants, chemical pollutants- chemical fumes, strong odors (fragrance, bad odor, etc. ), chemical off-gasing, contagious particle pathogens come flu season time (droplets from sneezing and coughing). 100% Unbeatable In the Fridge! Eliminates nasty fridge odors. Preserve the flavor and freshness of your food. It helps to slow down the ripening process by adsorbing the ethylene gases produced by fruits and vegetables. The Tub O' Carbon Odor Buster contains no chemicals or added fragrance and does not mask odors, it eliminates through a process called adsorption. Dimensions: 21” X 24.5” X 72”; Weight: Approximately 395 lbs. Call, toll free: 1-888-395-0330 / 1-800-626-0664 for help in choosing the right air filtration system, air purifier, air cleaner, air scrubber for your needs. We're your source for genuine AllerAir & Electrocorp replacement filters and parts. 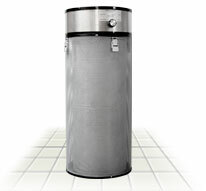 HEPA FILTER: 11" x 6" x 24"
Call 1-800-626-0664 or 1-888-395-0330 to order one or if you need further information. 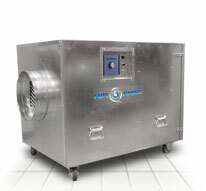 HEPA Filtration for airborne particles, mold spores, etc. Hospital contractors / renovation, construction, disaster restoration, etc. Don’t forget, May is Multiple Chemical Sensitivity (MCS) month. In an effort to spread MCS and chemical awareness and offer our support to MCS organizations worldwide, we have been providing tips via our website at, www.allerairsolutions.com. Also, for the entire month of May, we will dedicate our blogs and articles to MCS and chemical awareness topics. MCS is a chronic, debilitating condition that occurs after high or recurrent exposure to volatile chemicals. Symptoms include a heightened sensitivity to odors, as well as irritation of the respiratory, gastrointestinal and central nervous system. One of the most compelling objectives of MCS Organizations worldwide is their drive to raise chemical awareness. These organizations are coming together, seeking the identification and reduction of environmental toxins. Chemical sensitivities will become increasingly common across the globe as many industries continue to use hazardous, unregulated chemicals. Would you like to help us raise awareness about MCS? It’s not too late to start, just make this MCS information (http://www.allerairsolutions.com/5000mcs.html) available via your website. 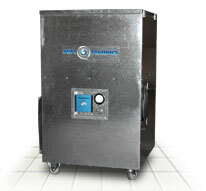 AllerAirSolutions.com’s Multiple Chemical Sensitivity air purifiers allow you to offer MCS sufferers the most inert air purifier available on the market. 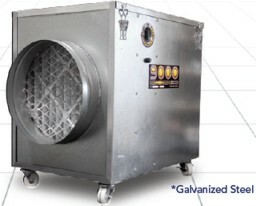 At AllerAirSolutions.com, our goal is to improve Indoor Air Quality one breath at a time. This May, help us raise MCS and chemical awareness---it’s a threat to us all. For more information, please visit our website at www.allerairsolutions.com and click on May is MCS Awareness Month button. Exposure to chemicals, odors and biological contaminants can pose serious health consequences for personnel conducting crime scene investigations, crime scene cleanup and decontamination or hazardous material management (hazmat) . Protective air cleaning devices are vital to help minimize exposure to chemicals, odors and other pollutants as well provide a more comfortable and efficient working environment. including chemicals, odors, aerosols, particulate and biological contaminants. As a result, a generically applied air cleaning solution is usually ineffective. Electrocorp provides a wide range of equipment to maintain safe, healthy and comfortable working environments that support scientific investigation. Electrocorp's air filtration systems for evidence rooms and property rooms are designed for a broad spectrum of dangerous airborne contaminants, including narcotics fumes, aspergillus mold spores, microorganisms, biohazards, chemicals, gases, odor control, and particles. These tough industrial units are designed for 24/7 continuous use in evidence rooms and property rooms of varying size and feature activated carbon and HEPA technology originally developed by the military for hazardous airborne toxins. 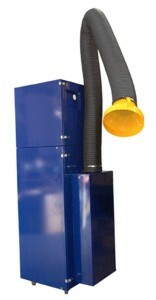 Currently used by law enforcement agencies across America, these air filtration units can also be custom-built to address specific air quality concerns in various storage areas and departments. "Ventilation is of special concern with narcotics. Narcotics fumes should not be circulated within a common ventilation system." "A narcotics storage room shall have an adequate ventilation system consistent with legal mandates that will not impact other areas of the building. 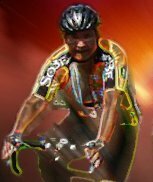 Always consider a negative pressure system." "Green" Air Quality Solutions for Law Enforcement facilities. When floor space is limited choose the cost-effective, space-saving solution for removing odors, smoke, chemicals, gases, and airborne particles.